Gov. Jay Inslee is accepting applications for membership on the Washington Coastal Marine Advisory Council. Members of the council advise the Governor’s office, state and local agencies, and the legislature, on ocean policy and management issues along Washington’s Pacific Coast. The advisory council includes gubernatorial appointments for representatives of various stakeholder interests, including: commercial fishing, conservation, shellfish aquaculture, ports, economic development, ports, education, shipping, recreational fishing, science and citizens. Each coastal Marine Resource Committee will also select one representative to serve on the advisory council. State agencies and the Governor’s office will also have representatives serving on the advisory council. Applicants should be committed to participate in a collaborative, advisory process with a diverse group of stakeholders and agencies. The advisory council must meet a minimum of two times per year and plans to meet four times over the next year. Advisors do not receive any compensation for their work. Advisors will serve a four-year term and may be reappointed. 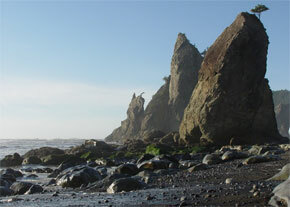 More information about the Washington Coastal Marine Advisory Council. Applications are due August 21. Download the application. For more information, contact Jennifer Hennessey, Washington State Department of Ecology, 360-407-6595.